Here’s how to install Ares Wizard Kodi addon or repo on your 17.3 / 17.4 Krypton setup in 2017 the right way. 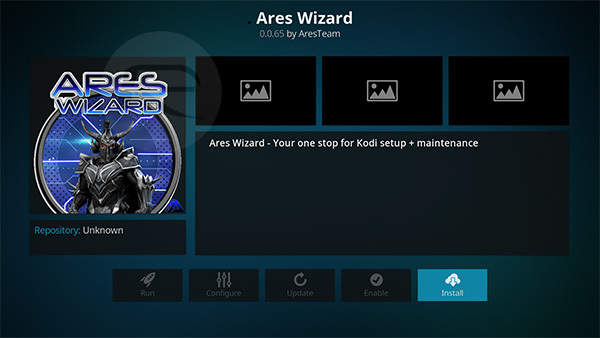 Rather than being a simple add-on bringing one set of functionality, the Ares Wizard is a very handy tool which gives you immediate access to an array of wonderful add-ons for your Kodi installation. Rather than having to trawl around for different URLs or trying to find the best add-ons, Ares Wizard gives you immediate access to a lot of them with only a minimal amount of work and installation involved. So without any more hesitation, let’s just dive right in and see the installation process of Ares Wizard. Step 1: Before you can proceed, you are actually going to need to have your Kodi installation up and running on whatever device it is installed on. Select System Settings and then choose Add-ons. Step 2: Once you are in the Add-ons section, you will need to look for Unknown sources option. Make sure the accompanying toggle is put into the On position. Step 1: Now that unknown sources have been enabled, we are now ready to actually get the relevant source installed into the Kodi installation. To do this, select System settings and go into File manager. Click OK to text the URL entry and add a name for the source. Call it something topical that you will remember, such as Ares Wizard. Step 3: Go back to the Home screen in Kodi and into the System settings. Select Add-ons and then Install from zip file. 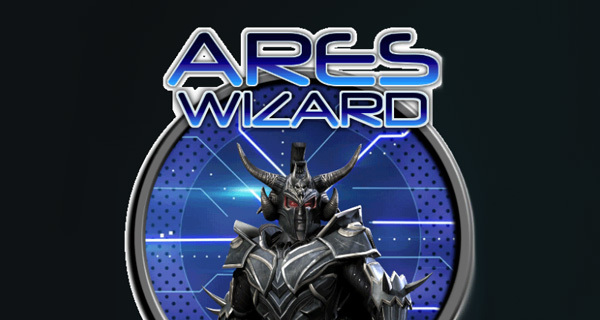 Select the Ares Wizard source that you entered earlier. 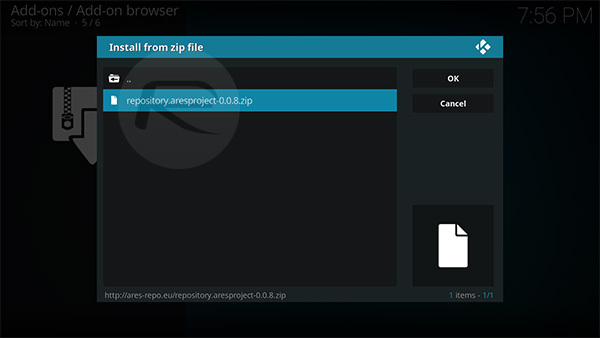 Step 4: Select the repository.aresproject-0.0.8.zip file that lives in that directory. Kodi will then go through the process of installing from the zip. Step 5: Next, select the Install from repository option. Select the Ares Project option, then Program add-ons. Then you will see the Ares Wizard option. Tap on it and select Install. And there you have it. You have successfully gone through the process of installing the excellent Ares Wizard add-on. Enjoy!